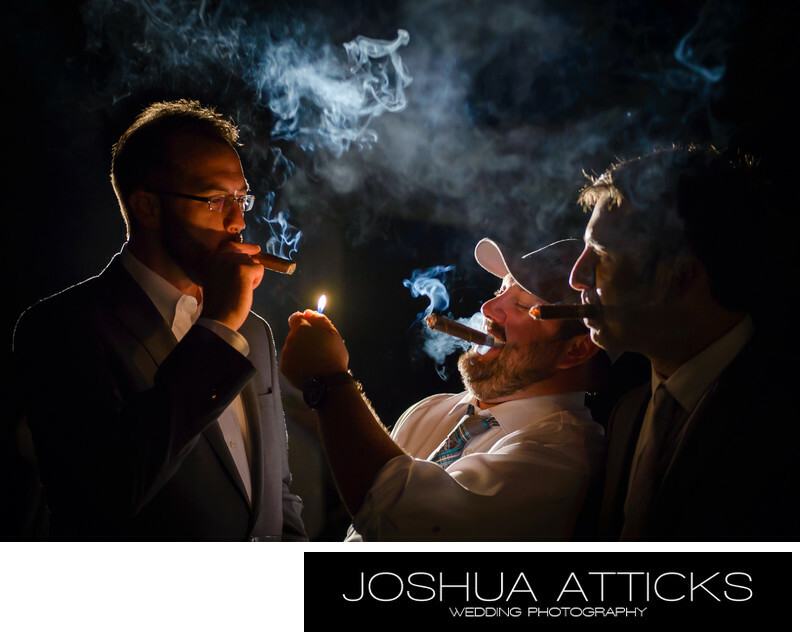 High end wedding photography showing the groomsmen enjoying the moment with cigars in hand. This image was backlight lighting up the cool looking smoke from the cigars and creating an interesting story. Love this shot! Location: Grey Havens Inn, Georgetown, ME .